CarrierBid can help your business through the entire Request for Prici ng, Proposal, Quote and telecom procurement process. CarrierBid can write and administer your company’s Request For Pricing, Request for Proposal and Request for Quote (RFP, RFQ). Based on your specifications, CarrierBid will customize a RFP document that is clear, concise and will produce the best results. CarrierBid will use its experience in the marketplace to quickly locate the most appropriate telecom carriers. Don’t waste time with the wrong vendors or miss out on the most capable companies. 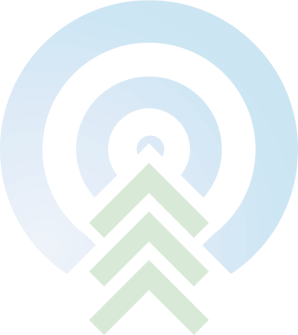 CarrierBid has worked with most every carrier, including AT&T, Verizon, CenturyLink, Comcast, Cox, Level 3, Windstream, MegaPath, Granite Telecommunications, Birch Communications and Bullseye Telecom – take advantage of our experience. Our experts know what’s important and what to look out for. Some items might look good on the surface but come with a catch. Being too close to the negotiation can be an issue as well. CarrierBid will cut through all the fluff to acquire the best pricing and terms, from the best performing Business Phone & Internet, Voice & Data Networking, MPLS, SIP, Hosted VoIP, POTS Consolidation, IaaS, Saas, PaaS, and Wireless providers. 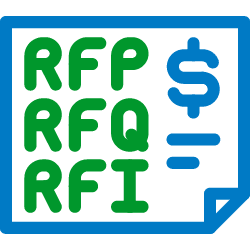 RFP responses and everything that’s discussed during the process are superseded by what’s contained in the carriers’ web based Service Guides. CarrierBid will make sure what was agreed upon and negotiated for is in the contract and that there are no “gotchas”. Telecom carrier evaluation is much more detailed than choosing the provider offering the lowest price. CarrierBid will help you evaluate the vendor’s entire response, to truly assess their offer. We’ll create custom benchmarks and formulas, so you’ll be able to evaluate the responses objectively. After a decision is made, we’ll make sure the winning carrier follows through. CarrierBid will manage the implementation and installation of your new services, to make sure it is delivered on schedule and without incident. When you need to launch a telecom RFP in days, not weeks. If you would like to receive more information regarding CarrierBid’s Telecom RFP and Procurement services, please call or complete the web form on the bottom of this page.